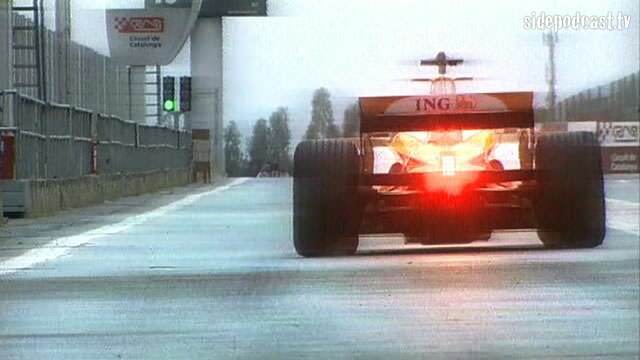 Formula One makes its 2008 European debut, as teams take the battle to Barcelona. Now armed with their luxury motorhomes and familiar transporters, as well as coming off the back of a four day test, there'll be no excuse for failure this weekend. So join Sidepodcast as we get Nico Rosberg's thoughts on racing in Spain, look back at what happened at the Circuit de Catalunya last year, and take a trip around the sweeping curves of the Montmeló circuit.